Welcome to the Silver Spring Volunteer Fire Department Guestbook. Your feedback is important to us. Feel free to leave your comments. Have a happy easter holiday. Megan Ellzy suggested I take a look, and she's right, you've done a great job with your website. So this is a big hello from the Saranac Lake Fire Department! we display patches from other departments in our meeting room. Are you interested in a patch swap? I just wanted to tell you folks up in silver spring that those green st.patricks day shirts look very nice. As well wish all of you an happy but safe st.patricks day. Just thought I would sign your guestbook while fooling around with my laptop computer as well as enjoying looking at the site every eveining I choose to go on the web. tryin to get ideas for our new website. thanks for all you do for our community! I didn't realize this Dept was partially Volunteer until I received a mailing from you---now I'm going to donate what I can. Just wanted to wish all an merry christmas and an safe newyear. Just wanted to say I very much enjoy the website and I think that ambulance 701 looks very sharp on the webpage photo shots of your Fire/EMS units. Keep up the fantastic work on your webpage and have an happy but very safe halloween. I am a collector of firefighter patches. 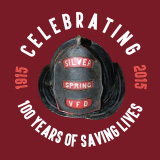 Its a pleasure to see this great web site and to see SSVFD continue its great tradition. I was the first county cadet to work within the Silver Spring Fire Department back in 1982. Its good to look at the historical photos which i recognizied Fire Fighter Torre who worked out of Station Company 1, and to see Barry and Mr. Brenner still giving great service to the community of Silver Spring Maryland. As a Dangerous Goods Officer for the fire dept. I have specialised in the dangers of H2S. I search for incident reports on H2S on a nearly daily basis. 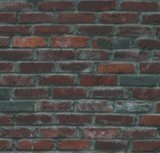 This morning I found your website. Untill now this is the most extensive report on current H2S suicides I have seen. Thanks for listing all the current suicides: I keep a register of H2S suicides in Western countries, and your website showed me I had missed several cases. Much appreciated. Keep up t he good work! Nice site. I'm shocked to see how many calls you guys run per year. In Holbrook we run about 2,150 between Fire & EMS. Keep up the good work & GOD Bless. Keep up the Great work, and May God bless you all and your familys! Very nice website and congrats on your successful move on bringing up the website I think it is very well put together as well as I am sure it will get you all a lot ferther than you all ever will dream of. Guest Name: George w. Brown Jr. It looks a lot like our new site and I know how hard it was to get it up and running. Very nice and wish you the best with it! (Same vendor). Great site indeed. Thanks for all the hard work and effort put into its development.